Home Engine & Upkeep DIY So you’ve run aground, now what? How to re-float your boat after going aground. 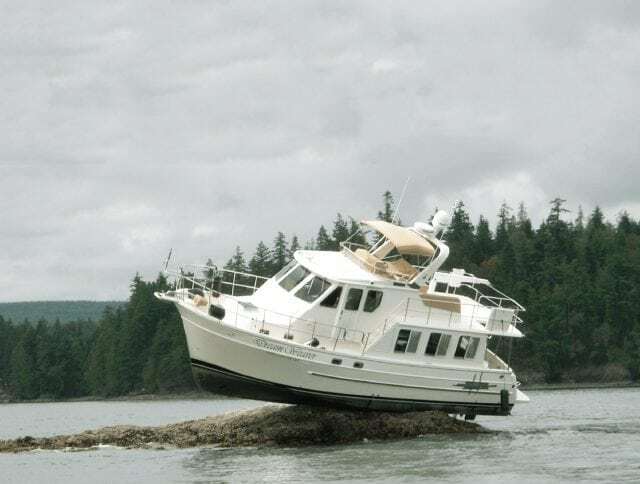 Most boaters have heard the saying: “You’ve either already gone aground or will go aground!” If you’re in the second category, knowing what to do immediately after grounding can make the difference between an embarrassing discussion at the yacht club Tiki bar and a harrowing tale on par with the Poseidon Adventure. While every grounding will have its own nuances to deal with, the following tips should help you re-float your boat in most any situation. for example, is less susceptible to damage than a powerboat featuring props and rudders extending below the hull. 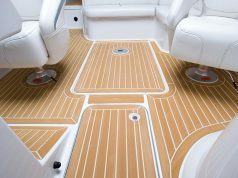 If your boat is more likely to experience damage when grounding— or while trying to unground it—your plan needs to take that into consideration. 1. Check for damage. The first thing to do after grounding is to place the engine in neutral—or drop all sails—and inspect the bilges to see if your boat is taking on water. Next, try to determine if you’ve sustained damage to the hull or running gear, paying particular attention to stuffing boxes, thru-hulls, etc. 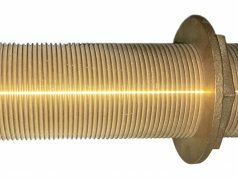 Even if there’s no apparent damage, monitor the bilges once ungrounded and while underway or back at the dock. 2. Check bottom type. Knowing what you’ve grounded on (rock, soft mud, hard sand, coral, etc.) will help determine the best course of action to free yourself. If you’re not sure, bottom information can be found on your charts or possibly determined by scooping up a sample with your anchor. 3. Verify the tide. Knowing the state of the tide is crucial after grounding. A soft grounding during a rising tide may mean the best option is to simply wait. Grounding on a falling tide means you’ll have less time to extricate yourself before the water level drops. some areas, you can read water depth by color, but in less clear waters, quickly take soundings around the boat using a lead line or maybe a long boat hook. You may also be able to use your dinghy to survey the water around your boat; outfitting it with a fixed or handheld depth sounder will be a big help. When considering what action to take after grounding, keep the sage advice of ol’ Hippocrates in mind: “First, do no harm.” For a hard grounding where you’ve struck a reef or rocky bottom and sustained significant damage, staying put until professional help arrives is typically the best approach as freeing a damaged boat could easily result in sinking once deeper water is reached. For soft groundings with little or no damage, the following tactics may help get you afloat. Attempting to power off is probably the first reaction after grounding. If you gently slid up onto a shoal bow first, you may be able to power off in reverse (back the way you came) until you reach deeper water. Moving passengers from side to side or swinging the rudder from port to starboard while backing down may roll your boat enough to break free. Boats with twin engines can also alternate bursts of throttle from port to starboard engines while reversing to amplify this side-to-side motion. It could have spun around after hitting bottom, or, due to the effects of wind and tide, your stern may be angled toward shallow water instead. 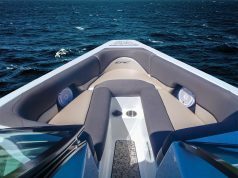 If you struck the shoal at an angle, you may be able to power off by turning the rudder hard toward deeper water and throttling up in an effort to spin the bow back toward it. Twin engine boats can try to spin the bow by placing the engine closest to deeper water into reverse and the other in forward (once you’re sure your props are clear of the bottom). If your running gear extends below the keel or could be touching the bottom in any of the above situations, you’ll want to try other tactics to minimize damage. Depending on wind speed and direction, sailboats may be able to heel the boat over by hoisting the main. Heeling reduces draft and breaks the suction, which, when combined with the thrust of the engine, may do the trick. tanks or using your dinghy to ferry items ashore. Sometimes simply launching the dinghy can make the difference. bottom. This method should not be used if you are aground on a hard or rocky bottom. This involves setting an anchor in deeper water and then trying to winch the boat free, typically in conjunction with thrust from the engine. 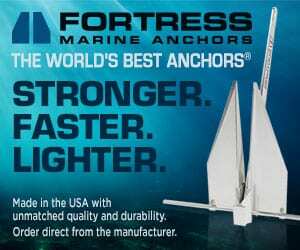 It’s easier with smaller boats—where you can easily throw a small anchor toward deeper water—but is more difficult for larger vessels with a heavier ground tackle. In this case, the safest deployment method is often using the dinghy to ferry out the anchor. Whatever your action plan, personnel and vessel safety should be paramount. If there are extenuating circumstances (deteriorating weather, the threat of sinking, etc.) 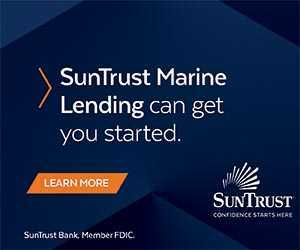 don’t hesitate to call for professional help from a commercial towing company or to notify the U.S. Coast Guard. ashore or on a fixed navigational aid are also good ways to check the local state of the tide. There are also apps aplenty for tablets and smartphones.